Fight fans are getting spoiled this weekend. I think we all deserve it. Last weekend, most of us watched one of the sport’s icons get knocked out at the age of 48, while his opponent celebrated near his lifeless body like he had just recaptured a championship. I don’t know about you, but I went to bed on Saturday night feeling like the sun would never rise again. Ok, that was an exaggeration, but I was still pretty depressed and felt dirty for even watching. The MMA Gods need to make it up to us, and with all the amazing fights we have on tap this weekend, I think there’s a good chance that they will. Starting Friday we have two Bellator cards (210 on Friday and 211 on Saturday), two UFC cards (The Ultimate Fighter 28 Finale on Friday and Fight Night 142 on Saturday), LFA 55 and KSW 46. 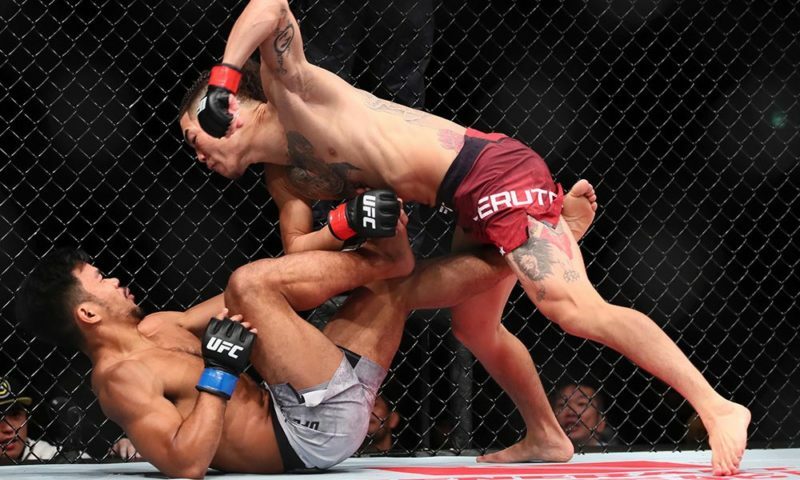 Picking the three best fights to watch this weekend was like a mother choosing her favorite child; I’m sure some could do it, but it ain’t easy! With that being said, I don’t think I’m going to steer you wrong with these fights, so let’s get into them! This fight is “must watch” for what it represents just as much as the matchup itself. The 44-year-old Mark “Super Samoan” Hunt will battle the 31-year-old, American Kickboxing Academy trained Justin “Big Pretty” Willis. This will be an enormous step up in competition for Willis, and, at the risk of sounding like a hater, a step down for Hunt. That’s not a knock on the talented Willis, but after consecutive fights against Alistair Overeem, Derrick Lewis, Curtis Blaydes, and Aleksei Oleynik, Hunt will now share the octagon with a man who has fewer pro fights (8) than Hunt has KO/TKO wins (10). 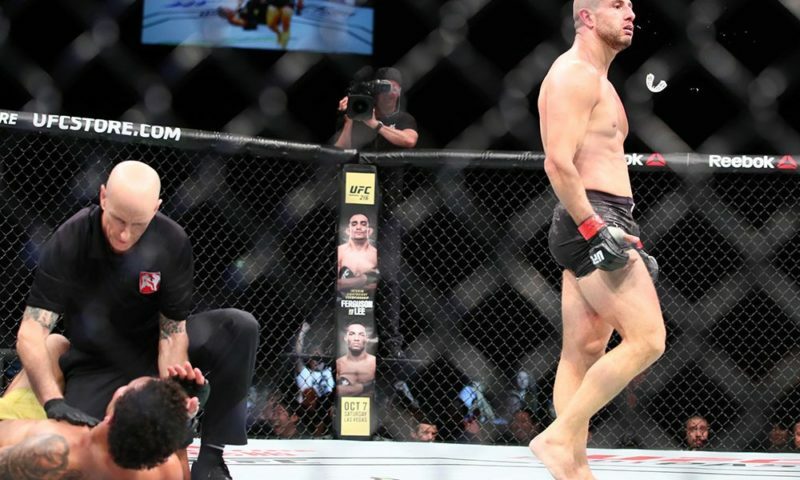 Saturday will also represent the end of an era for Hunt in what will most likely be his last fight for the UFC, ending a run that had mixed results but provided fans with some of the greatest highlights in UFC history. His fight against Willis is the last on his contract, and after his ugly falling out with the company, he does not have any intention on returning. Instead, Hunt will have one last scrap in the octagon in front of the Aussie faithful while he looks for one more “walk-off” knockout victory. Willis, of course, will be looking to make sure that doesn’t happen. The AKA product has racked up six straight victories since losing his pro debut, most recently defeating Chase Sherman by decision. He predominantly fights out of the southpaw stance, has some solid power, and is an athletic big man, especially for someone who consistently weighs in at the heavyweight limit. His favorite weapon is the straight right, followed by the left over the top, a combo that dropped Chase Sherman in his last fight and has found success throughout his career. “Big Pretty” averages 1.84 take downs per fight, and you have to believe he is working on improving those numbers at a gym such as AKA. While Hunt has always had trouble with the takedown, it usually comes against wrestlers vastly superior to Willis, so “Big Pretty” will need to bring his A-game if he plans on utilizing his grappling. If you’ve watched a single Mark Hunt fight in your life, you know what he’s going to try to do on Saturday. “Super Samoan” is not looking to re-invent the wheel. He hasn’t been upping his jiu-jitsu in hopes to catch Willis in a flying triangle (although that would be the greatest finish in the history of the company). He’s going to walk Willis down and try to remove him from consciousness. It’s as simple as that. 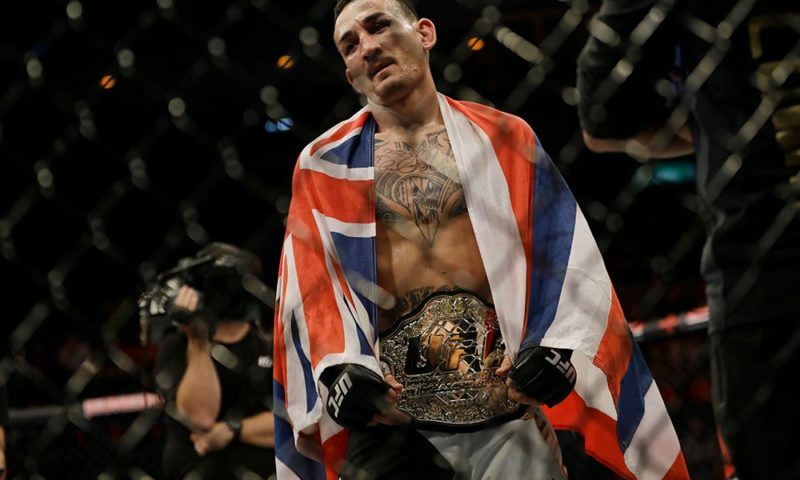 Every single fighter that has stepped in with Hunt has known what was coming, but a lot of them still couldn’t stop it, and that’s the beauty of watching him. This could be a very real nightmare for “Big Pretty”. While Willis is far from a “punching bag,” some of the punches he’s taken in his career would have left him on his back if Hunt was delivering them. Both men have a lot riding on this fight. With a win, Willis will secure the greatest victory of his professional career and will announce himself as a new contender in a division that can use some new blood. While Hunt doesn’t necessarily have anything left to prove, he will certainly want to end this chapter of his career in an emphatic way. Finishing Willis in front of the Aussie faithful will do just that, and will serve as one last “middle finger” to the “cheaters” and UFC brass that Hunt has grown to detest. You don’t have to try too hard to sell me on this one. The story surrounding this fight could serve as the plot for an MMA movie. You could take the plot and apply it to any sport, turn it into a movie and people would watch. For over a decade, Mamed Khalidov has been the heart of the KSW promotion. While several big stars like Jan Blachowicz amd Karolina Kowalkiewicz left Poland for the UFC, Khalidov took on all opposition for the KSW banner, going undefeated for the promotion. He secured his spot towards the top of this list of fighters not in the UFC and many would argue that he is still one of the faces of eastern European MMA. That was until he met Tomasz Narkun, the man he faces this Saturday. In a “champion vs. champion” super-fight, the then middleweight champion Khalidov took on the light heavyweight champion Narkun, and suffered his first loss in a decade, getting submitted by the “Giraffe” in the waning moments of the fight. Since then, the 38-year-old has relinquished his middleweight title to pursue revenge in the form of a rematch with the man who is ten years his junior and the king of the division that was once ruled by Khalidov himself. My only worry about the rematch is that the original set the bar too high. If you haven’t watched it, you have my permission to stop reading this and find a replay. Everything from the production value during the entrances to the finish was spectacular. The younger and visibly bigger Narkun was getting tagged on the feet by the older Khalidov. Combination after combination found their home right on Narkun’s chin, snapping his head back with each. Narkun was eventually dropped twice in the first round and got his lead leg absolutely chewed up in the second. He found some success on the feet in the third, hurting Khalidov with a nice jab, right combo followed up by a flurry with some knees thrown in against the cage. Kalidov looked like he would survive, but his ultimate demise came from catching a Narkun kick, taking him down and getting caught in a triangle. It was truly a roller coaster and I’ll probably watch it at least two more times before the weekend. Even though Narkun walked away with the win, the pressure is on him to switch his game plan in the rematch. Khalidov had his way with him on the feet through the first ten minutes and had he not chosen to take Narkun down, would have walked away with the decision victory. 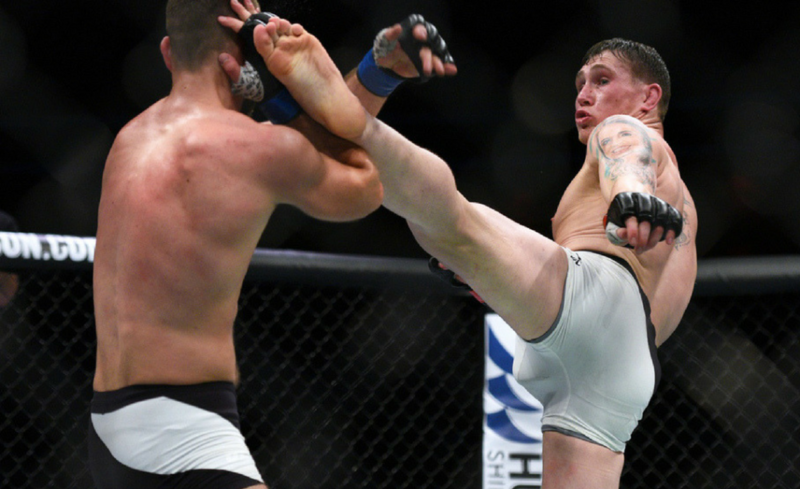 Narkun found success with the long jab and front kick to the body and will need more of it to keep the veteran’s striking success to a minimum. It is always a good idea for the taller fighter to fight at range, but it’s especially true in this case, as a lot of Khalidov’s success came from Narkun walking towards him. As for Khalidov the phrase “if it ain’t broke, don’t fix it” comes to mind. Other than the result, everything seemed was working for the 38-year-old vet. Is it strange that I’m already rooting for a trilogy before the rematch takes place? The main event of UFCFight Night 142 from Adelaide, Australia, will feature the former heavyweight king Junior “Cigano” dos Santos against the hometown favorite, Tai “Bam Bam” Tuivasa. There is a definite theme for my picks this week, as this is yet another match-up of “young blood” vs. “old guard”. Coincidentally it will also feature a man (dos Santos) with more TKO/KO victories (12) than his opponent (Tuivasa) has professional fights (10). “Cigano” has always been a fan favorite, but the Aussie crowd will certainly be behind their native son. “Bam Bam” has taken the MMA world by storm and has won over fans from all over the world by drinking beer out of shoes and knocking fools out, but there is nowhere in the world that is more pro-Tuivasa than Australia. Hell, I would love to share a cold one with the man they call “Bam Bam”. I’ll keep mine in the bottle, though. Tai can have the shoes. 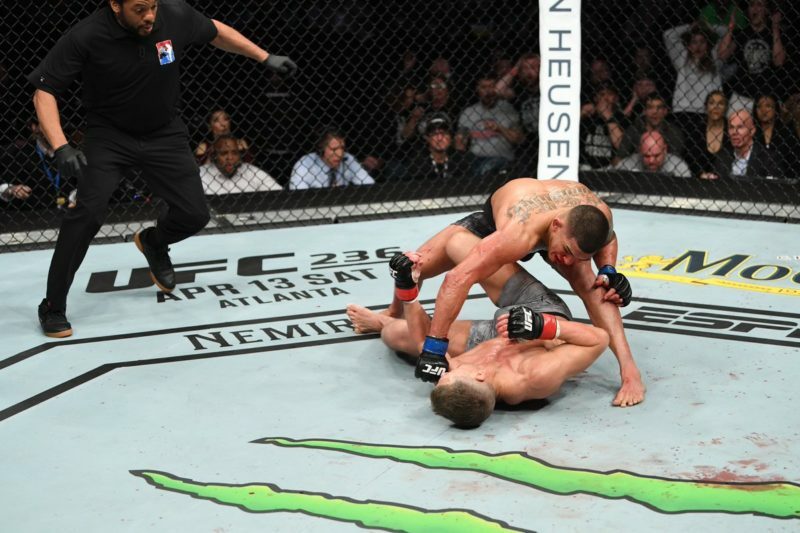 However, this is MMA and being a fan favorite is not a substitute for skill at the end of the day. While Tai has yet to experience defeat, he has never faced anyone like the former champ, but I think this is the perfect time in both men’s careers for this fight. Dos Santos is still in the upper echelon of the division, but a recent title fight loss, a loss to a top contender in Alistair Overeem and two losses to Cain Valasquez (should he return) has “Cigano” on the outside looking in as far as the immediate title picture. If Tuivasa knocks off the former champ, a star will be born. Despite the hype around “Bam Bam” there are just as many question marks surrounding him, questions marks that only increased after his last fight. Despite walking away with a win, Tuivasa narrowly defeated Andrei Arlovski. 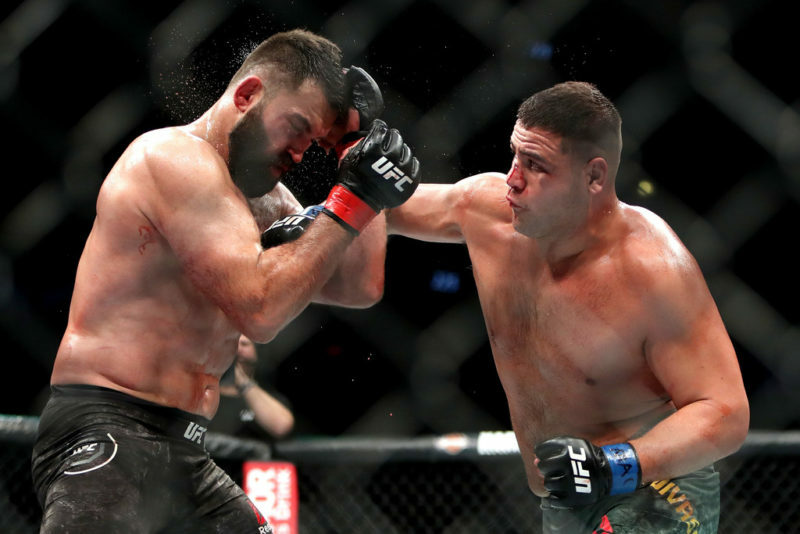 While Arlovski is a legend in his own right, many people expected the younger, harder hitting Tuivasa to have his breakout performance and ultimately did not live up to that expectation. At times, he struggled with Arlovski’s boxing. The later rounds of the fight saw Arlovski sticking to his usual crisp punching technique with Tuivasa starting to chase, hurling sloppier strikes from the hip. If he found trouble with Arlovski’s boxing, Dos Santos is going to provide a much stiffer test in that department. Dos Santos has always been considered one of the better pound-for-pound boxers in MMA, utilizing a blend of technique and power both of which remain constant throughout the fight. Look for “Cigano” to utilize the jab to the body and maybe even a takedown or two to take Tuivasa into deep, uncharted waters. If you’re a fan of “Bam Bam” you’re hoping for Tuivasa to exploit Santos’ durability. After the trilogy with Velasquez, “Cigano” suffered knockout losses to Alistair Overeem and Stipe Miocic and while his chin isn’t “gone” it certainly seems more susceptible than it has been in the past. It could be the perfect time for a powerful brawler like Tuivasa to capitalize. Hopefully, the Adelaide Entertainment Center has a solid infrastructure, because it will surely be tested if “Bam Bam” gets his hand raised. Enjoy the weekend, fight fans! You may not have enough televisions and computers in your home to catch every single fight, but make sure you don’t miss these!